We offer a full range of property management services tailored to you as an investor, homeowner, or landlord. We have an extensive knowledge of apartments, townhouses, condos and single family homes in the Kyle area. If you’re an agent seeking a partner property management company in the Kyle area, we are grateful for the business and will remain loyal to you as a partner. Please see our Agent Referral information to find out more about ways we can partner to help one another. 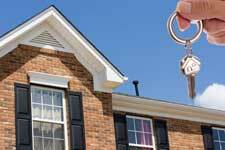 We understand that not all property owners need the same services from a Property Management Company. Whether you’re a savvy investor requiring a robust scope of ongoing management services, or a hands-on owner who may not necessarily require a full time manager, we have a solution that’s built for you. 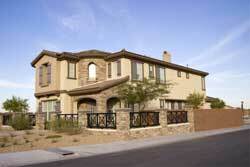 We offer 2 different types of management services to property owners. Both options are simple, straightforward and reasonably priced. Our tenant placement services are intended for the investor who needs assistance in marketing their property for rent, qualifying tenants, and ensuring that their rental home is 100% in compliance with Texas Property Code Standards before moving anyone in. Once a tenant is placed, the property is returned to you to manage from that point forward. It’s really that simple. Tenant placement services may be suitable for a hands-on investor who lives locally in Kyle. However, this service might stretch the capabilities of an out-of-town investor, or an individual with several properties significantly. For these owners, we certainly recommend the Full Service Option. With our Full Service management Package, we handle EVERYTHING. You, as the investor, behave as just that – an investor. And the information from our team will tell you exactly how that investment is performing. At Morris Green Properties, we use the most advanced property management software to deliver you the most comprehensive analysis and profit and loss statements available in property management, all while encompassing a broad scope of additional services intended to take the guesswork, and the risk, out of your investment. Do you own a single-family home? If you’re considering renting out your home in the Kyle or surrounding area, request a free,no-obligation, market analysis. We’ll share our deep experience in the Kyle rental market to answer questions like: How much rent should I charge? How long will it take to rent the home? How can I screen tenants and manage the property? Credit Check, Rental History, Criminal Background, Prior Evictions and Income Verification. Tenants can apply for your property online, and all screenings are consistent with local, state and federal fair housing laws. We aim to get your property rented FAST, and your listing will be visible just about everywhere. Prospective tenants will find your property very easy to find, from several online sponsors like Zillow & Trulia, MLS, Craigslist, newspapers, yard signs and our company website. Texas has specific requirements for residential leases. With Morris Green, you can rest assured that the leases & addenda we use are vetted, approved and in absolute compliance with all local, state and federal housing and property code laws. Access your property information anywhere, anytime through our owner portal or on-the-go via our mobile app. With Morris Green you’ll have 100% transparency, 100% of the time. Tenants, more than anything, want a management company that is easy to work with and responsive to their needs. Prospective residents interested in your home can submit an application for rent securely online. And existing tenants find it easy to pay rent, submit maintenance requests, or communicate with their property managers with ease by phone, email or by logging into their Tenant Portal online. Our mantra for rent collection: "We don't get paid unless our owners get paid". Morris Green is working hard to ensure that your tenants pay on time, every time. We offer your tenants an array of payment options, affording them the ability to pay online, by phone or by mail. Credit Card, certified funds, PayPal, ACH and cash payments are all accepted forms of payment. We also understand that down time is the largest loss-leader for an investor, so if a tenant fails to pay, we promptly initiate the eviction process. One of the most difficult parts of managing your own property will involve the repair management process. With Morris Green Properties, you receive the peace of mind in knowing that we work with professional, knowledgeable and reliable vendors to quickly and efficiently handle repairs of your property. Repairs are completed as quickly as possible. If a tenant placed by Morris Green Properties breaks the lease agreement within the first nine months, we’ll find a replacement tenant at no charge. Q: What type of tenant qualifies for these homes? A: Each property owner has different requirements regarding credit standing, minimum income, and other factors. Most look closer at your rental / employment history and ability to make monthly payments and less on your actual credit score. You can get more information by viewing the information on Resident Screening Criteria. Kyle is a city in Hays County, Texas, United States. The population was 28,016 in the 2010 census and 30,875 in 2012. Kyle is one of the fastest-growing cities in Texas.